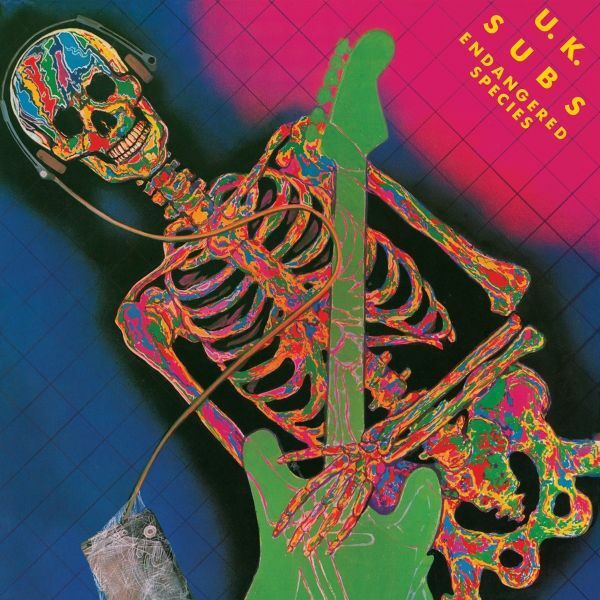 Originally released in 1982, the U.K. Subs fourth studio album is considered by many of the bands fans their finest moments, and theres many reasons why it could very well be: the records powerful sound (courtesy of the production of the Subs own Nicky Garratt) made justice to a band on top of their game, recording some of the best songs of their career.With "Endangered Species" the legendary UK Punk outfit proved their songwriting skills were extremely sharpened and ready to cut! From classic punk numbers like "Endangered Species", "Living Dead", "Lie Down And Die" or "I Robot" to slower stompers like "Countdown" or "Down On The Farm" (infamously covered by Guns n' Roses in their "The Spaghetti Incident" album), the record is strong proof of what the Subs are capable of! Theres even space for a bit of post punk in great tracks like "Sensitive Boys"!No self-respected Punk should let this one pass, up The Subs!